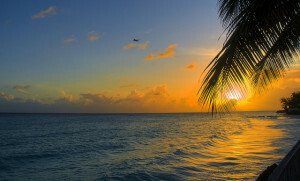 The Caribbean Sea is an extremely well-known vacation destination, and Barbados is one of the most popular spots therein. One of the activities that a great many vacationers enjoy doing on their travels to Barbados is sportfishing. Barbados has a lot of possibilities in terms of fishing, both inland and on the ocean. Barbados Fishing Guides and Charters can take you to all of the best fishing destinations surrounding the island – and even to estuaries and rivers, ponds and streams inland. They possess precise knowledge of the top spots in which you can target some of the island’s most exciting big fish. Barbados is often spared the worst effects of the region’s tropical storms and hurricanes during the rainy season as its far eastern location in the Atlantic Ocean puts it just outside the principal hurricane strike zone. On average a hurricane may strike about once every 26 years. It is the easternmost island in the Lesser Antilles. It is flat in comparison to its island neighbors to the west, the Windward Islands. The island rises gently to the central highland region, with the high point of the nation being Mount Hillaby, in the Scotland District, 340 meters (1,120 ft) above sea level. The island is situated in the Atlantic Ocean, east of the other West Indies Islands. The coat of arms depicts two animals which are supporting the shield. On the left is a “dolphin” which is symbolic of the fishing industry. The climate and location make it ideal for vacationing, and Barbados Fishing is some of the finest in the world. Regardless of whether you’re going inland or venturing out to sea, Barbados Fishing Charters/ Fishing Guides ensure that your angling excursion is at the bare minimum an enjoyable and exciting time, and offer you the best opportunity to hook into some of the area’s renowned trophy class big game fish. DO YOU OFFER SHALLOW WATER/FLAT FISHING SECOND WEEK OF FEBRUARY ? HOW MUCH FOR FULL/HALF DAY ? Hello Thomas, thanks for stopping by. I’ve emailed you some information.